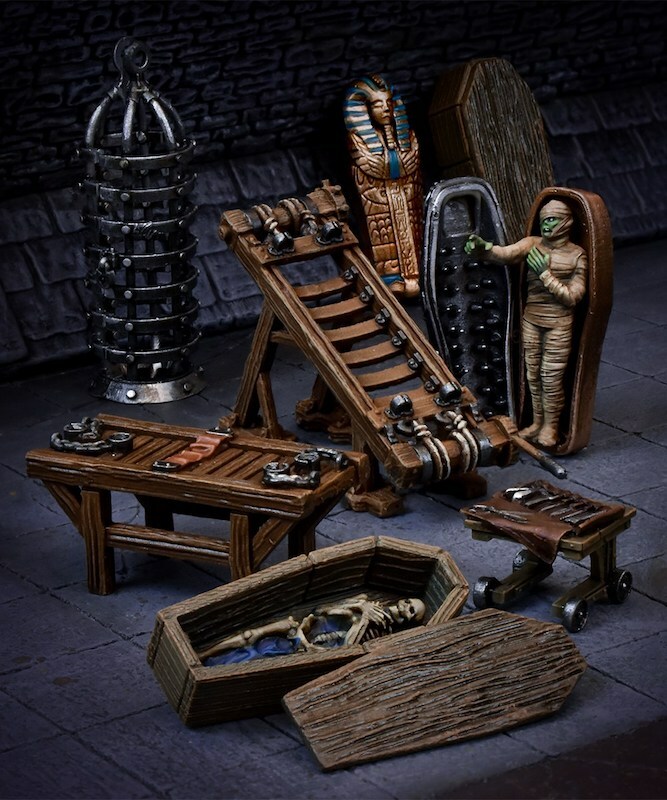 These detailed and customizable terrain pieces for Dungeon Saga offer possibilities beyond the game – these will work will for any fantasy RPG or 28mm scale miniatures game. 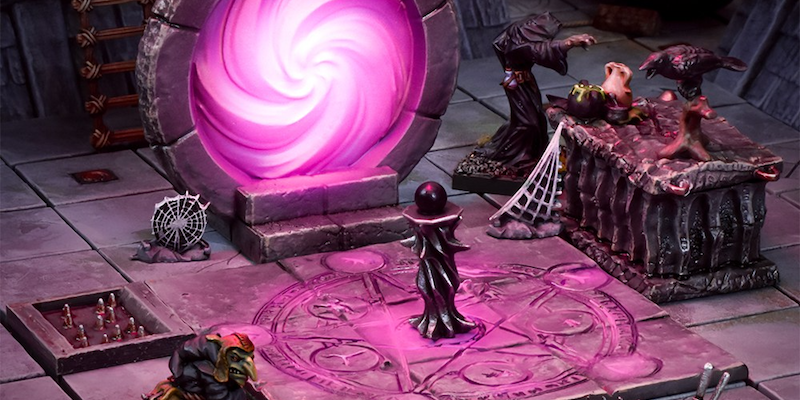 Upgrade your maps, table, and dioramas easily. TerrainCrate is range of pre-assembled, highly detailed terrain that you can use straight from the box, or customize easily with paint. 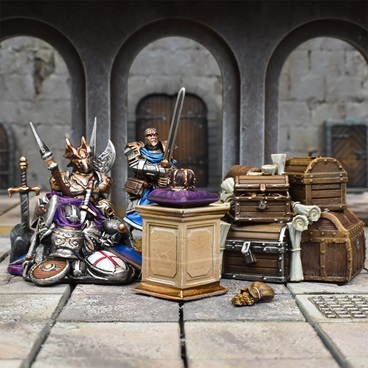 These plastic pieces are perfect for your Dungeon Saga games, bringing more to your RPG maps, and adding something extra to fantasy dioramas. Unlike resin, they’ll hold up to many games and adventures. 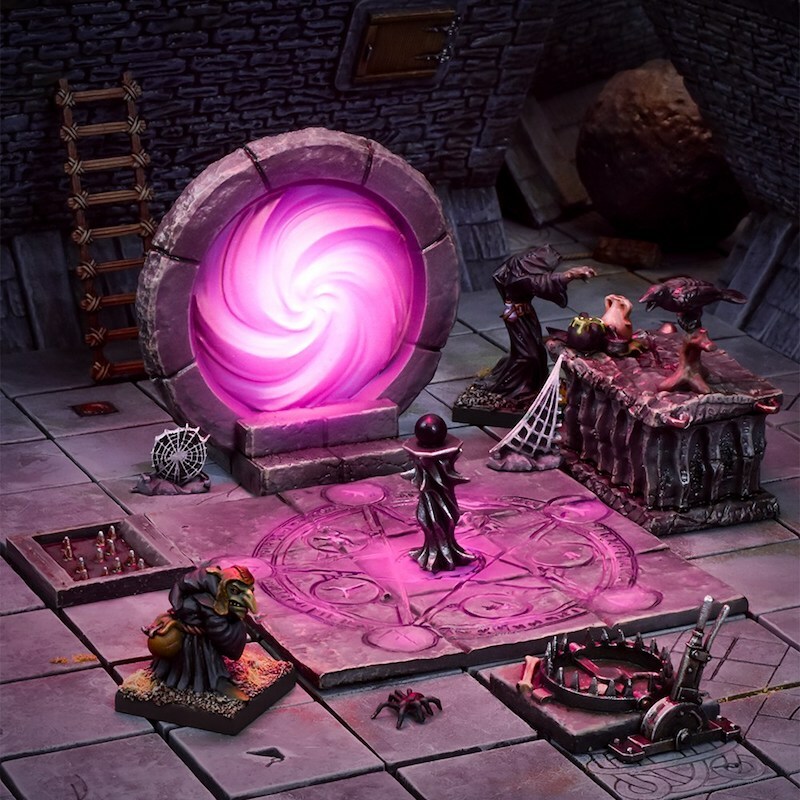 Build a dungeon, a wizard’s library, or a room filled dragon’s treasure in no time flat. Pre-order is open now for the fantasy range – but order fast, they are limited. These are just some of what Mantic has to offer; you can check out the full selection here. The dark places where adventurers must go to seek their fortune are not blank empty spaces, but the remains of ancient civilisations. 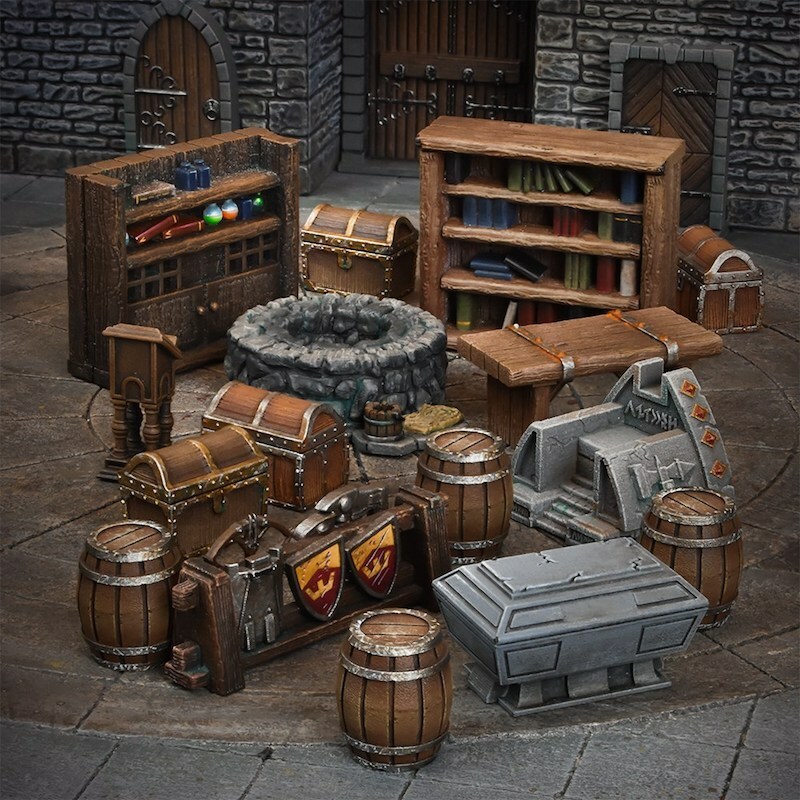 This set gives you doors, chests, tables, bookshelves and other accessories to flesh out the areas of your adventures.